Last Sunday was a big day for me. The Mail on Sunday ran my article about the dreadful conditions in an intensive UK pig farm I investigated. In turn that drew massive public attention to my film showing the horrific conditions the pigs and piglets had to endure (see video below). As I write the film has now been viewed 500,000 times. 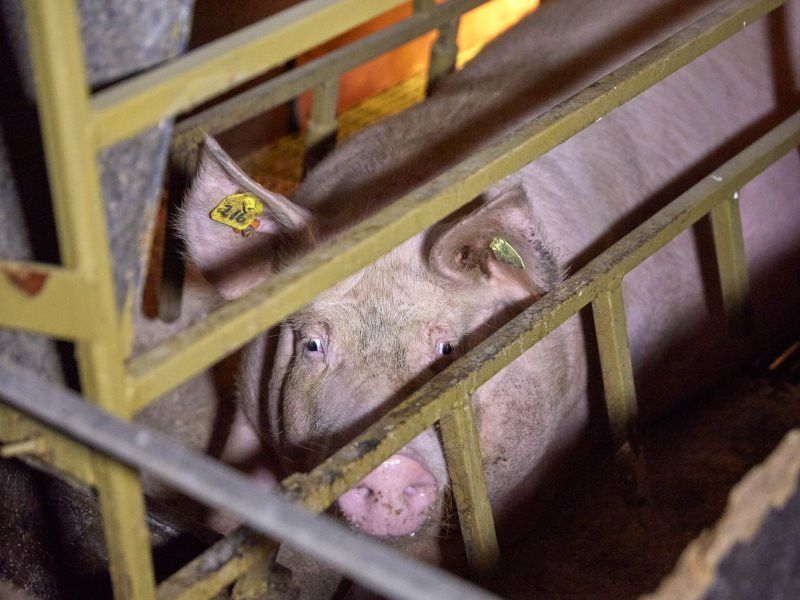 It shows the horror of factory farming systems – including some legal practicies, and others that are outlawed by EU and UK animal welfare regulations. 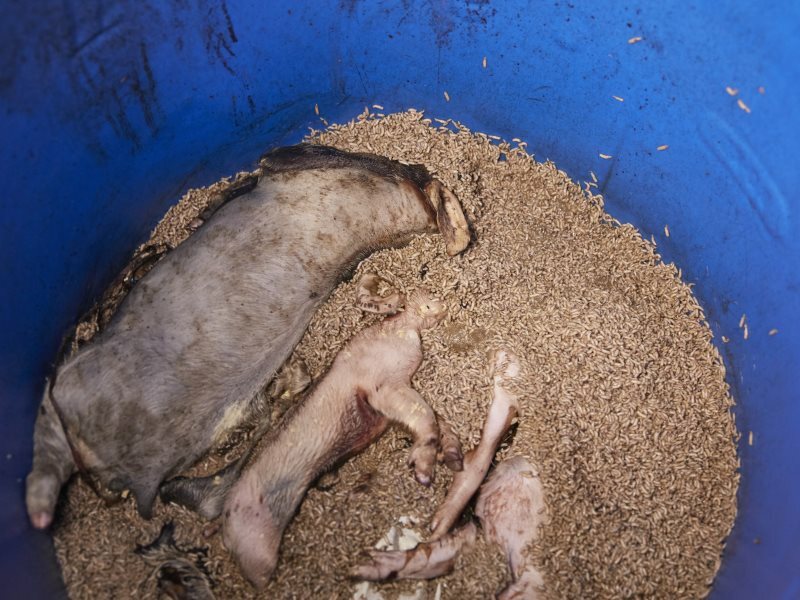 For example, it is perfectly legal to raise piglets in farrowing crates, where the mother pig stays in a cage so small that she can’t even turn around for five weeks – both before they are born, and for the 3-4 weeks for which she is suckling her piglets. 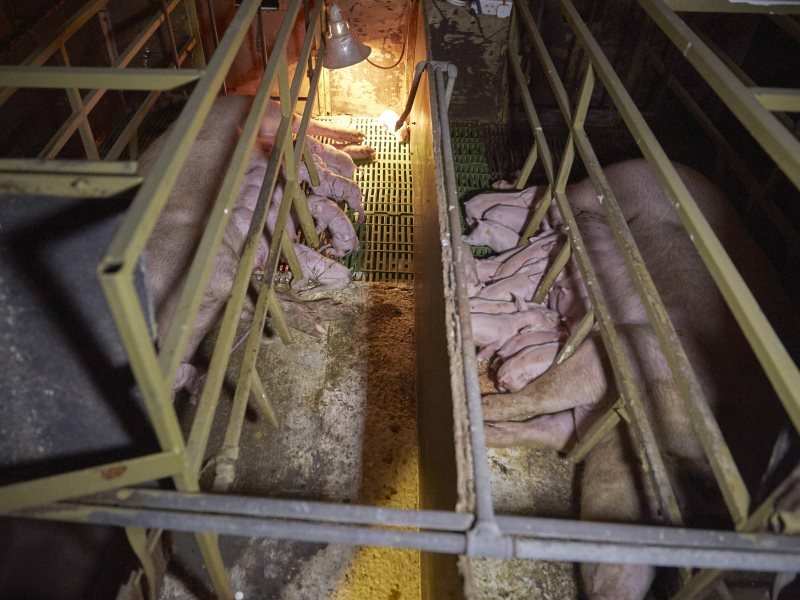 But the farmer was breaking several EU laws by failing to provide manipulable material in the pen for the piglets to follow their natural instincts to root, chew and explore for food. Without this the pigs are so bored, frustrated and stressed that they fight, scratch, and bite (particularly each other’s tails). This farmer had also routinely amputated all the pigs tails when in fact the law says that he must change the cause of their biting. The stressful conditions leads the need for preventative antibiotics to stave off diseases which is leading to antibiotic resistant bacteria that pass from pigs to humans. This is bringing us ever nearer to the day when antibiotics no longer work for human diseases. I was tipped off about the farm by a local resident who was concerned about the piteous squeals he heard coming out of the pigsheds, at such a pitch that the animals’ conditions could only be extremely poor. 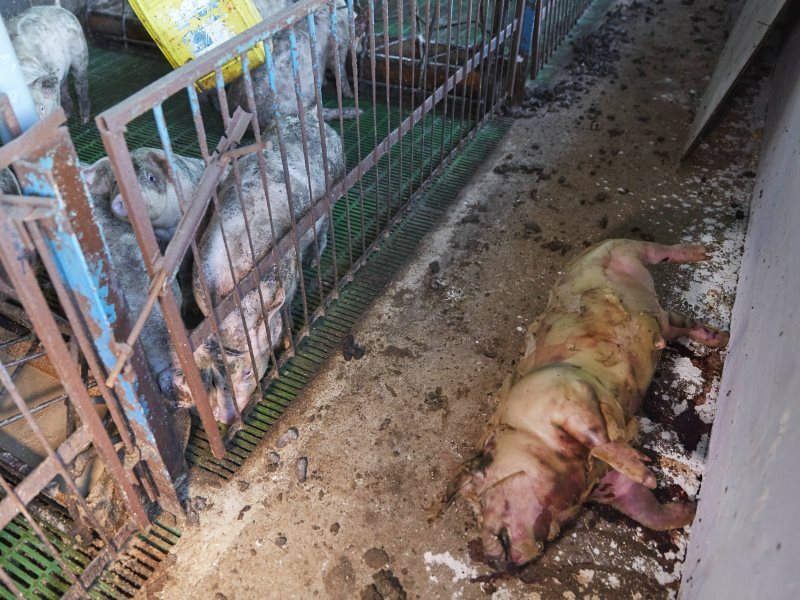 Unlike many intensive animal farms, the premises were unsecured so I was able to gain access to the buildings after the workers had gone home. 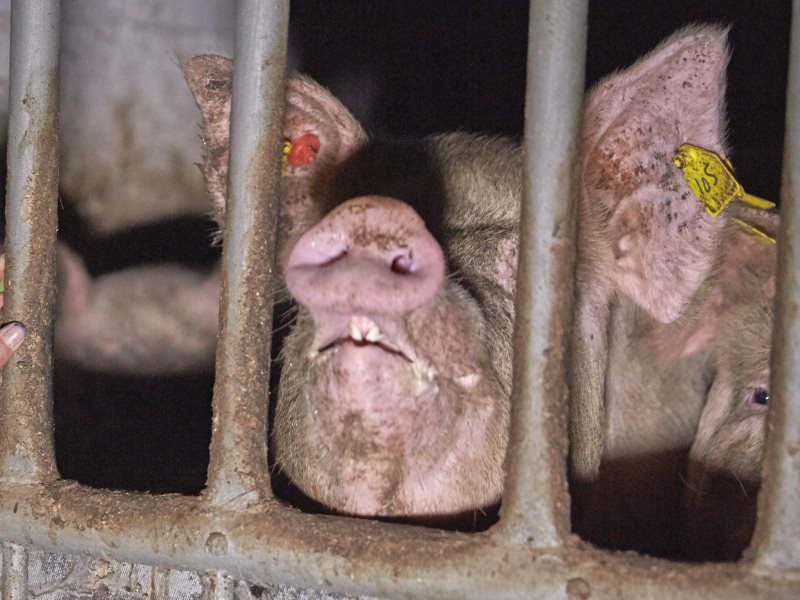 But I decided not to expose the name and location of the farm and farmer because there was no point: I only needed to show the conditions that are common on pig farms across the UK – and this particular farm, horrific though it was, is no worse than hundreds of of others. Before the film was released and I returned for a second visit to film the farm live on Facebook. But by then a massive gate had been newly installed and padlocked. So I hid my car and walked with my cameraman towards the farm suspecting that the farmer may have been alerted to our interest. We heard a car approach so we rushed into a nearby field and lay on the ground. A beaten up Landrover drew to a halt beside us. An elderly man in the driving seat gave us a menacing glare and asked what we were doing on his land. I said I was just having a cuddle with my boy friend. As I am 57 and my cameraman is a mere 22 years old, he was understandably incredulous. He drove off. We decided to call off our mission and return to my car in case he was letting the tyres down in revenge for the trespass. As we walked back down the lane the farmer returned, this time on foot. We had been rumbled. The farmer, initially furious and defensive, calmed down once I told him that we were keeping his identity confidential and that our mission, along with promoting the humane treatment of pigs, was to protect British farmers by exposing the impossible situation that they find themselves in due to cheap imports. We ended up having a genial conversation. His farm had been in the family for 200 years and he felt that it was his responsibility to keep it going for future generations. He employed local people who, usually, stayed for life. It was lucky, he told us, that it had been him and not his highly protective workers who had found us. And in case we felt like revisiting, he had now had alarms installed. But for all that he was willing to talk. He told me that he had recently sold all his pigs, disinfected his sheds and bought brand new stock. His old stock had been routinely given preventative antibiotics to prevent respiratory problems brought on by ammonia, part of the toxic cocktail of gases from rotting faeces. But he was concerned about antibiotic resistance passing from the pigs to humans, and thought the practice would probably soon be banned. He had made this investment for the future of the farm despite the odds stacked against him. It was both humbling surprising to come face to face with the farmer whose farm we had exposed, only to find that he believed in the same things that we did. 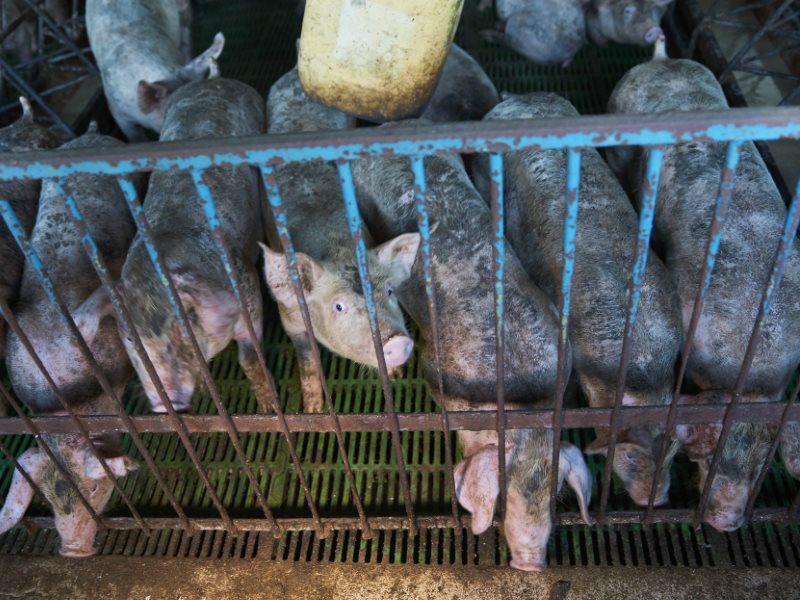 We began with the farrowing crates where sows are kept for five weeks while they suckle their young: “I know you don’t like those crates and I don’t either”, he told me. But he explained how the vagaries of the global economy along with the way British supermarkets treat farmers left him very little room to improve. “It goes back to the repeal of the Corn Laws 200 years ago”, he said, “Feed the people cheap, keep wages down and sell your product abroad.” With UK politicians wedded to this mantra and advocating reduced CAP payments, he told me that most British farmers relied on the French to mobilize and keep European farming in the competition for ever cheaper meat. He had been born on this farm at a time when farms were mixed, he told me, growing a variety of produce, so that when one market failed they had contingency. Now farms are pushed towards specialisation in one product and when the bottom falls out of that market, farms are forced into bankruptcy. 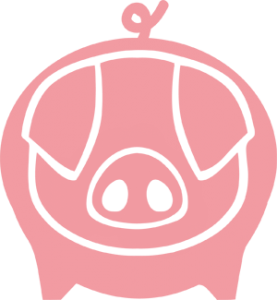 When Russia closed their markets to pigs resulting in a glut in the market many of his colleagues were forced out of business. He shrugged and showed me the cuts and bruises on his arms, battle scars of a lifetime eking out a living on the farm he wished to keep for his daughter and his grandsons. In an era of industrialised farming, he knows his small-scale farm is at risk. What then? I explained my ambition to persuade consumers to buy high welfare produce and he agreed that this was a solution, but that it would take too long. He told me I was an idealist and not living in the real world where people like him had a bank manager to answer to. And then he answered to my wish for re-localising farming by describing his close relationship with local consumers, how his pigs only had a mile to go to slaughter, that all processing was done on his farm and his employees had worked for him for up to 40 years. 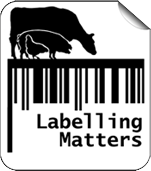 In the past he had the high welfare RSPCA label but, when consumers were not prepared to pay for it, supermarkets returned his meat and he couldn’t afford to continue. A friend of his who runs a dairy farm is about to go out of business after the ‘villain’ discount supermarkets like Aldi and Lidl were undercutting Tesco and Sainsbury’s efforts to guarantee to pay over the cost of production to the farmer. As dusk surrounded us and the gentle night bird sounds of the British countryside started up, the great irony occurred to me: this farmer who I had exposed for cruel practices was, in fact, one of the last standing traditional farmers who, if we paid a fair price for our pork, could be a high welfare farmer once again. He was a prime example of the issue that I have been campaigning about for over a decade: a traditional British farmer only forced to cut costs and neglect animal welfare because of cheap imports and industrialised farming practises – not due to malice. And so there we were, standing on the edge of his farm in failing light agreeing with each other. Limiting my harm to him personally by withholding his name, he was my route to showing shoppers how farmers could only up their standards if they were given a fair price. As we shook hands, he told me he was sorry to have gated his farm and, smiling, he said he knew I was trying to mislead him as he didn’t think I was having a cuddle. Shoppers – buy only high-welfare meat! As farmers are being pushed to the wall by cheap imports, they are forced into becoming more intensive – which often involves breaking EU animal welfare rules. That’s why I see the farmer as the victim of global trade. They have no choice in the matter if they are competing with massive low-cost factory farms across Europe and beyond. And as I found in my conversation with the farmer, he had tried to find an alternative by producing his pork under the RSPCA ‘Freedom Food’ label – but the demand hadn’t been there from supermarket shoppers willing to pay a small premium for a higher standard of animal welfare. That puts the responsibility onto us – ordinary consumers and supermarket shoppers – to seek out and select meat sold under high welfare labels such as ‘RSPCA Assured’, ‘Outdoor Bred’, ‘Free Range’ and best of all ‘Organic’. Farmers and consumers together can ensure healthy food and farming. But we must make the change now before any more of our precious local farmers go bankrupt – leaving us with no choice but to buy from remote, gigantic, unaccountable corporate factory pig farms.